So excited to share these four really EZ amazing products that you can make yourself with ingredients you may already have in your kitchen. Covering both health and beauty with two for your inside and two for your outside. 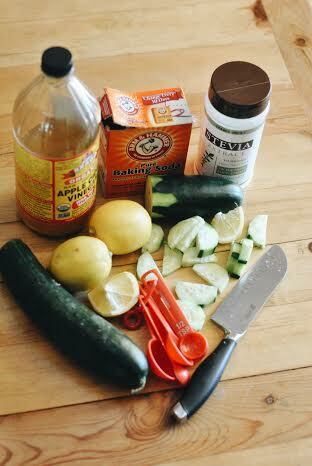 A face/body scrub with just two ingredients, a face mask with just two ingredients and two amazing healthy drinks. 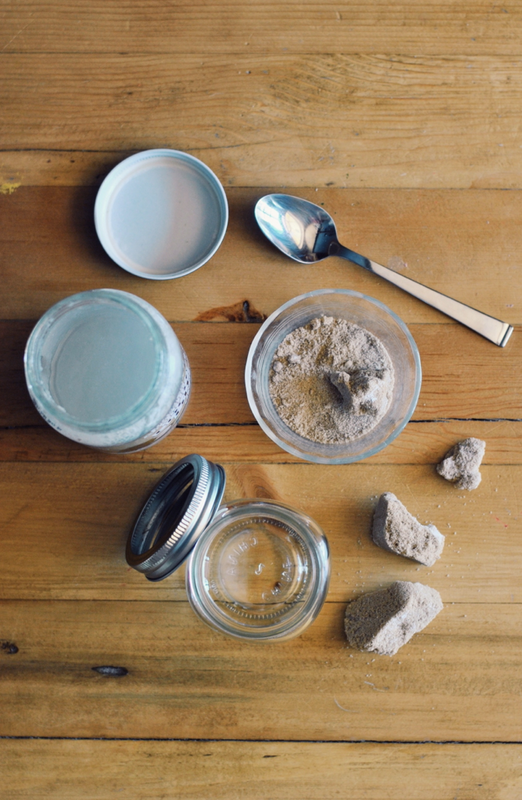 This is my homemade face and body scrub. I make it with brown sugar and organic coconut oil. That's it, just 2 ingredients. I keep it in small mason jars, one in the shower and one by my sink. Brown sugar makes a great scrub, not too abrasive and if you happen to get this mix in your mouth by accident you may just want to eat the whole jar! I start by filling the jar with the brown sugar then begin adding a teaspoon of coconut oil and mixing, the right consistency is up to you. 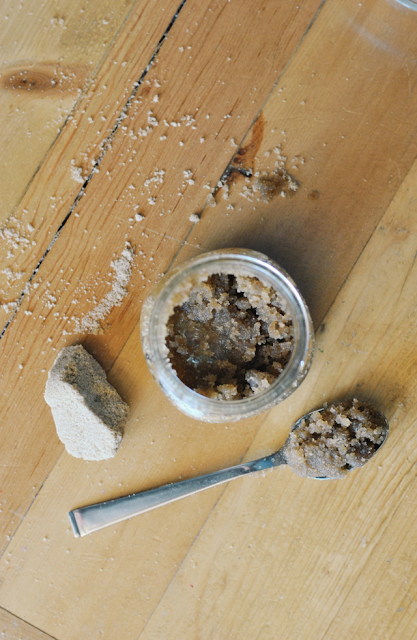 For a more abrasive scrub use more brown sugar, for a more wet scrub more of the coconut oil. When you scrub this on your skin and rise it off you are left with the luxurious silky smooth feel that the coconut oil leaves on your skin. Coconut oil is so good for you, inside and out. I use it straight out of the jar as a moisturizer too. I love that you can basically slather it all over as a body oil and it feels so oily but in 2 minutes you can get dressed without a trace of oil left on your clothes. 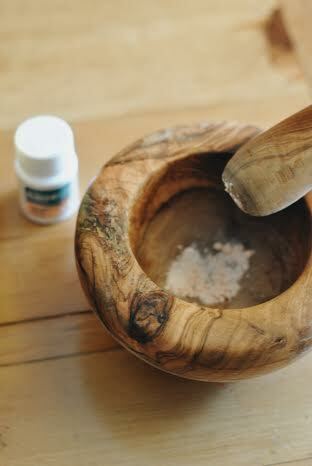 Crush up 6-8 aspirin, this is an excuse to use the mortar and pestle I got at a little wood carver shop in Germany. Or you can just use the back of a spoon. Smash up the aspirin (make sure it is un-coated/un-buffered) then mix in about a teaspoon of the liquid of your choice and make into a paste. Cover your face and relax for about 15 minutes and then rinse with warm water. Aspirin is anti-inflammatory and contains acetylsaliclic acid which helps tighten skin, smooth wrinkles and fight acne and redness. All that and this is one inexpensive beauty treatment! You can also get fancy and add other ingredients like Tea Tree Oil, Honey, Avocado, etc., find aspirin mask addition recipes here. This deliciousness is called Golden Milk. It's like a creamy good night drink, the modern version of warm milk. It contains turmeric which has amazing healing properties. You make the mix in advance and keep it in the fridge to use at night for your drink. In a small pot mix 1/2 cup filtered water, 1/4 cup organic tumeric powder and 1/2 teaspoon of organic pepper. Mix over medium heat until it becomes a paste. Put it in the fridge to chill. 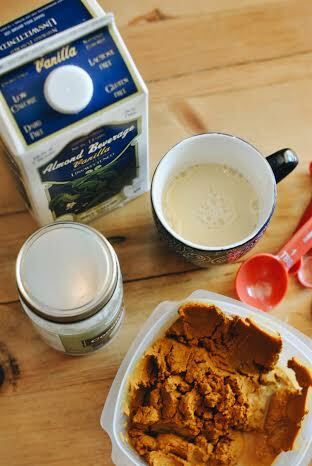 When you're ready (for bed) take 1/2 teaspoon of the paste and mix it into 1 cup of almond milk, (I use unsweetened almond milk), add 1 teaspoon of organic coconut oil, (this makes is so creamy), and heat over a medium flame, do not let it boil! 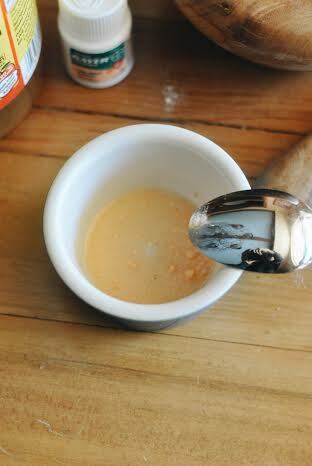 Add raw organic honey for taste. More on the benefits of this drink here. This is my very own Mocktail recipe. 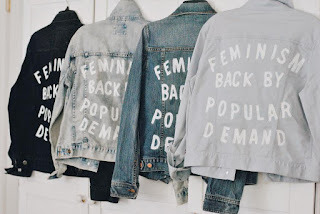 I've posted about this before and I cannot rave about it enough. 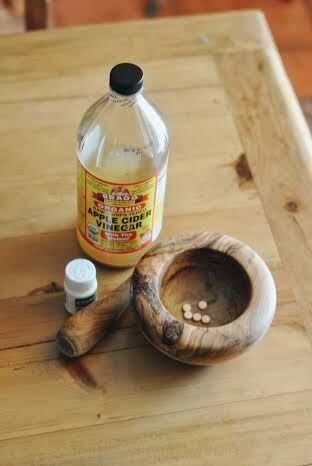 Check out my pinterest health and beauty board if you don't know about the healing properties of Braggs Apple Cider Vinegar. 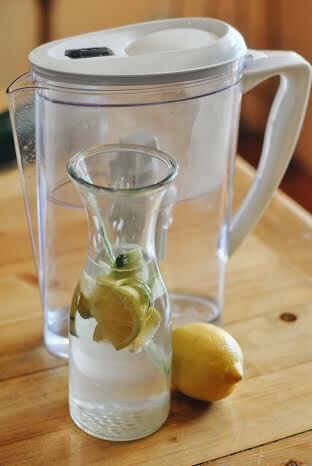 Drinking this will help alkaline your body. Most illnesses begin with a body that's too acidic. 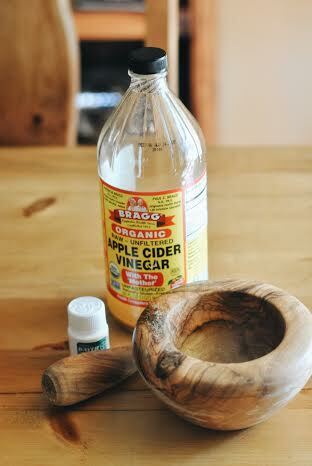 Fill your glass with filtered water, add two tablespoons of apple cider vinegar, 1/2 teaspoon of Armend Hammer Baking Soda, yes baking soda! Stevia to taste for sweetness and a few slices of lemons and cucumbers. And by the way if you ever have an upset stomach 1/2 teaspoon of baking soda in water is a natural bicarbonate. Who needs Alka Seltzer!